This immaculate home comes fully furnished and is turn-key ready. 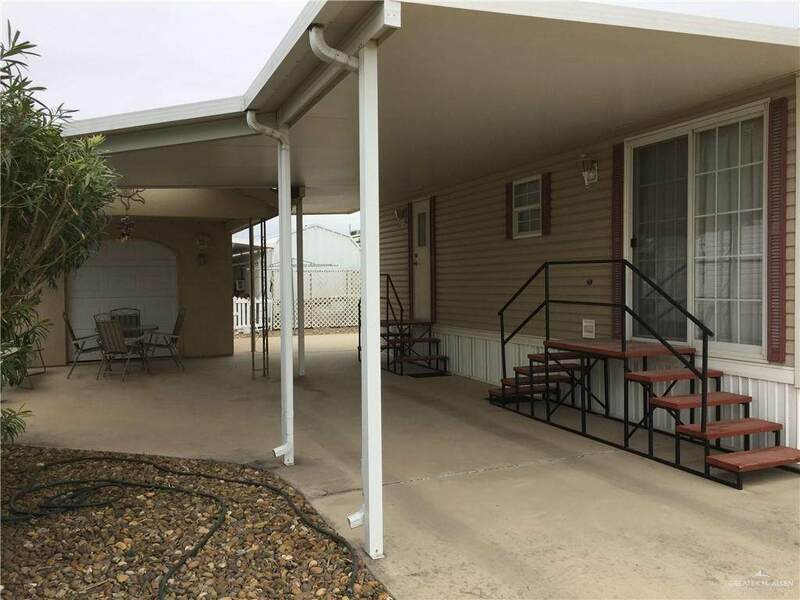 1 bedroom, 1 bathroom mobile home is located in an active 55+ golfing community in Mission. Open and airy feeling in the spacious living & dining rooms. 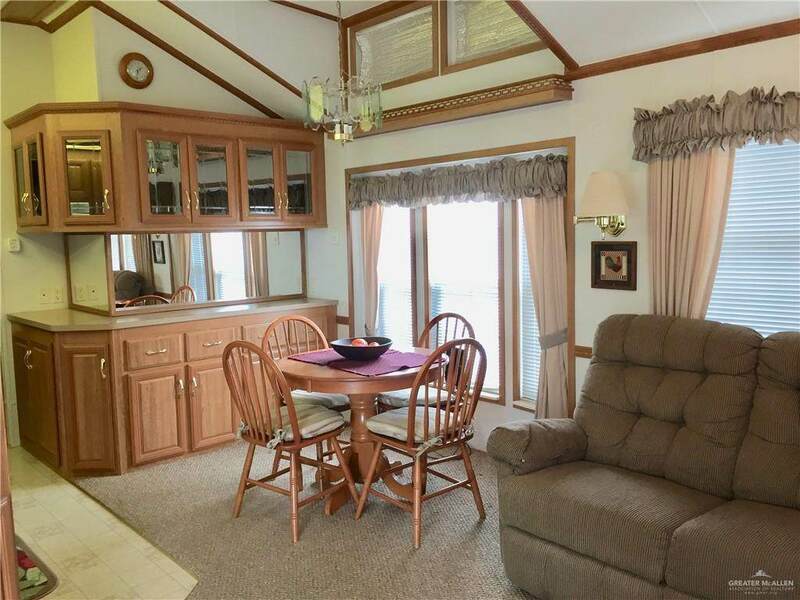 Comfortable size eat-in kitchen with beautiful built-in cabinetry. Bedroom is generous in size with plenty of storage and lots of closet space. Spacious bathroom with step-in shower. Ceiling fans. Newly installed carpet. 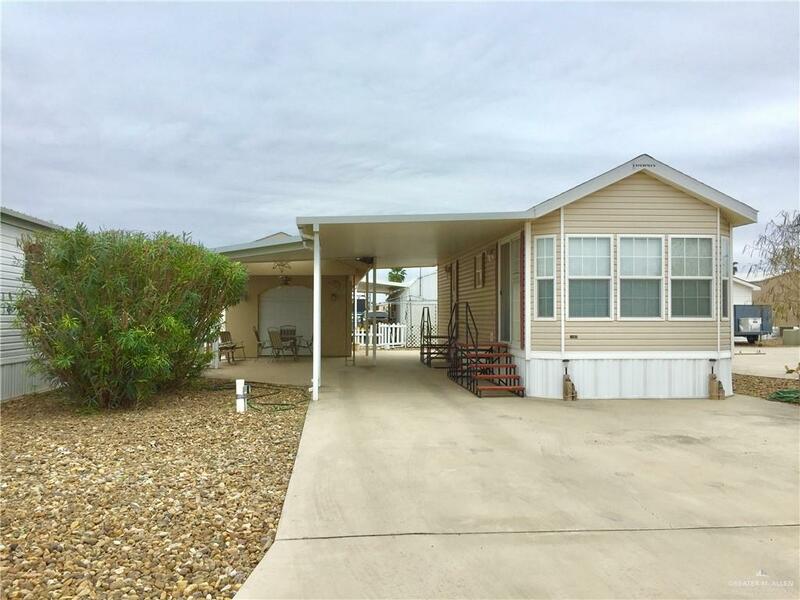 Golf Cart Garage/workshop with on-site washer & dryer and a 2nd outside bathroom for convenience. Come experience what this community has to offer.